It's the fourth volcano in 24 hours spewing ash and showing activity after Bali's Mount Agung, the Stromboli volcano Eolian Islands in Italy and the Tenorio volcano Costa Rica. 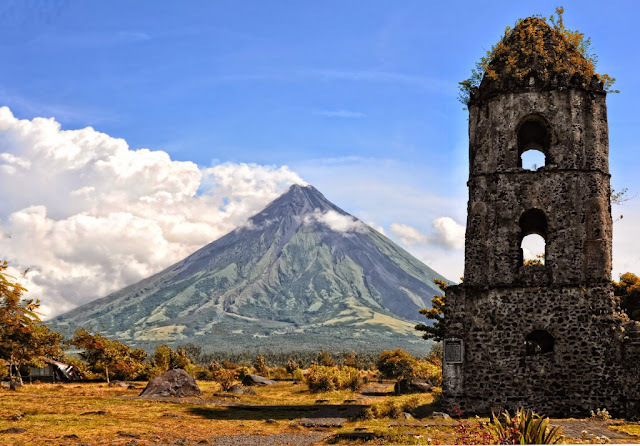 The Mayon volcano rained ash over the towns of Camalig and Guinobatan in Albay province on Saturday during a phreatic eruption, Albay's Public Safety and Emergency Management Office (Apsemo) said. The explosion occurred at 5:06 p.m. The explosion prompted the evacuation of residents in some barangays in the towns of Camalig and Guinobatan. Apsemo chief Cedric Daep said the seismograph of the Philippines Institute of Volcanology and Seismology (Phivolcs) recorded the volcano's activity. However, the eruption was not visible to the public because the volcano was shrouded by thick clouds. "There are traces of ashfall in the municipality of Camalig but we could not see the extent of the ashfall due to the thick clouds enveloping Mount Mayon," Daet said. Mt. Mayon has been on alert level 1 for almost a year. Alert level 1 means the volcano is in an abnormal condition.